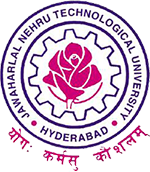 JNTUH MCA Notification 2018: JNTUH MCA I, II, III, IV, V Semesters Regular/Supply Exams Notification Dec 2018, Jntu hyderabad mca end examination notification 2018. The Notification is hereby issued for the I,III & V semester Regular/Supply University examinations and Supplementary University examinations of II & IV semesters of MCA course. You are requested to note the following schedule of events associated with the Regular/Supplementary Examinations of MCA course. These Examinations are scheduled to be held in the month of December-2018. 1. MCA – I SEMESTER – (R17/R15/R13/R09) REGULAR / SUPPLEMENTARY EXAMS – DECEMBER -2018. 2. MCA – II SEMESTER – (R17/R15/R13/R09) SUPPLEMENTARY EXAMS – DECEMBER-2018. 3. MCA – III SEMESTER – (R17/R15/R13/R09) REGULAR/SUPPLEMENTARY EXAMS – DECEMBER-2018. 4. MCA – IV SEMESTER – (R15/R13/R09) SUPPLEMENTARY EXAMS – DECEMBER-2018. 5. MCA – V SEMESTER – (R15/R13/R09) REGULAR / SUPPLEMENTARY EXAMS – DECEMBER-2018. 2. In case of Physically Handicapped students (deaf, dumb, hearing impaired, orthopedically handicapped and visually handicapped) as per University Proceeding No. JNTUH/EB/11148/2/ Concessions extended to the Physically Challenged students/2018, Dated.20-01-2018, the Principals are requested to allow for exemption of the examination fee for such students The relevant documentary evidence and the list of those students is to be submitted at the counter in the Examination Branch on the day of stationary collection. 3. If there are any discrepancies like the question is incomplete in the question paper or a question is out of syllabus, all such discrepancies should be submitted to Director of Evaluation within 3 days of that examination. Otherwise such requests will not be entertained. Hi Bhargav, i also had the same doubt when i paid the supply fees, later i read the notification thoroughly then i understood that for 2nd and 4th sem are supplies now so as per the notification for each subject it is 500/- (Each Theory/Practical Subject [For Supplementary Exams-MBA II & IV Semester] : Rs. 500/-). For 1st and 3rd sems its is as per the notification as these are regular exams now. Hope this will helps you. All the best for exams.